Just 7 miles west of the waterfront in Stevenson, you’ll find the city of North Bonneville, a small picturesque destination! 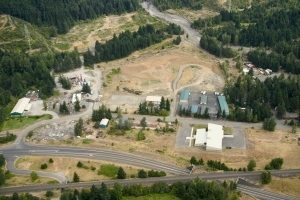 The Port of Skamania County owns 3 separate properties here that total 43 acres, 5 buildings, and 55,744 square feet and tons of potential! This vacant land is ready to be developed. Located adjacent to the Bonneville hydro-electric dam and substation just off of Highway 14, we have 42 acres that are shovel ready and industrial-zoned. Utilities include 2 separate fiber optic telecommunications networks, municipal sewer and water, and natural gas. This land is available for lease or for purchase. Nestled on the north side of Highway 14, this Business Park is home to four different buildings, offering a mix of industrial and office space. Home to businesses like Slingshot Sports, Silver Star Cabinets, and Simply Growz, we are proud to offer space to some of the leading employers in our area. With lower lease rates, lower utility costs, and our rural setting, the Port is able to offer the ideal setting to live and work. There are vacancies for both manufacturing and office space. To see pictures and get more details, see “Available Properties“. This beautiful golf course got it’s start in the early 70’s when residents of Skamania County decided they wanted to work together to bring golf recreation to the area. Built entirely by volunteers, this course embodies the Columbia River Gorge lifestyle. 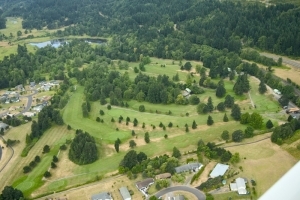 Now owned by the Port and managed by AMC Ventures, golfers from around the region can enjoy spectacular views, awesome food, and that friendly neighborhood vibe that makes Skamania County feel like home. With unbeatable prices ad regular specials, everyone can hit the greens and have some fun! If you would like more information about space available to lease at the Lewis & Clark Business Park or land available to develop at the brand new Cascades Business Park, please take a look at “Available for Lease” from the drop down menu. Contact us with any questions you may have!